Group submissions allow learners to collaborate and make submissions on behalf of the whole group. 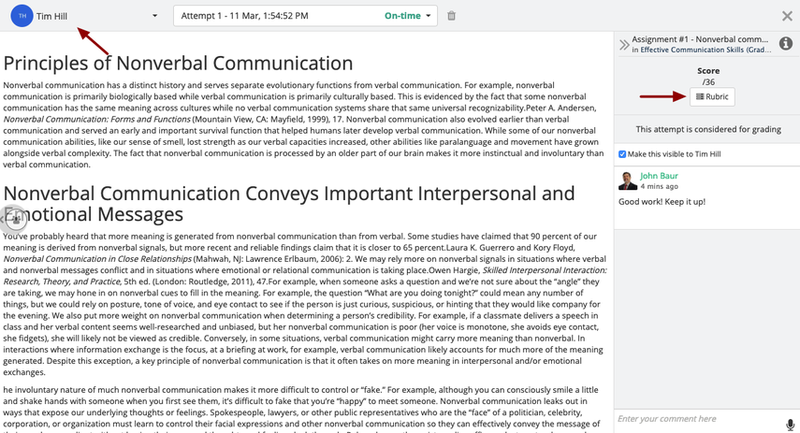 Instructors can make groups and add learners to them. Once a learner, from a group, makes a submission to an assessment (assignment / online quiz), the submission will be considered for all the members of the corresponding group. This is an existing feature on Teamie, but we have decided to improve it by using the Teams feature. You would already be familiar with the Teams feature that we rolled out in our earlier update. While also being our first concrete step towards introducing personalised learning on Teamie, it provided a way to create independent groups of users within a classroom, now called teams. Now, we are essentially using the teams created in the Teamsets of a classroom to serve as groups for group submissions in an assessment. 2. 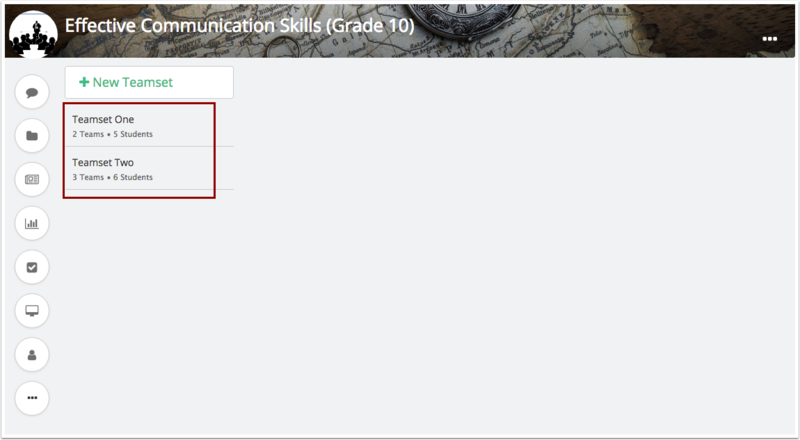 Click the Submission block in assignment settings. 3. Select the number of Maximum submissions allowed from the drop-down list. This restricts the number of times learners are allowed to make submission(s) to this assignment. Note: If group submission is enabled, then any member of the group can attempt the assignment any number of times till the total number of overall attempts doesn't exceed the number of Maximum submissions allowed. 4. Select Yes under Allow group submission. 5. Your progress will be auto-saved. All the members of the classroom will be considered as "Individual groups" until you add them in a group. Once you allow group submissions for an assignment, then you can select the teamset with the teams (present in the classroom) that you wish to share the assignment with. All the teams in the selected teamset will be considered as the groups for that assignment. All the learners that are not part of any team in that teamset will be considered for individual submission. 1. 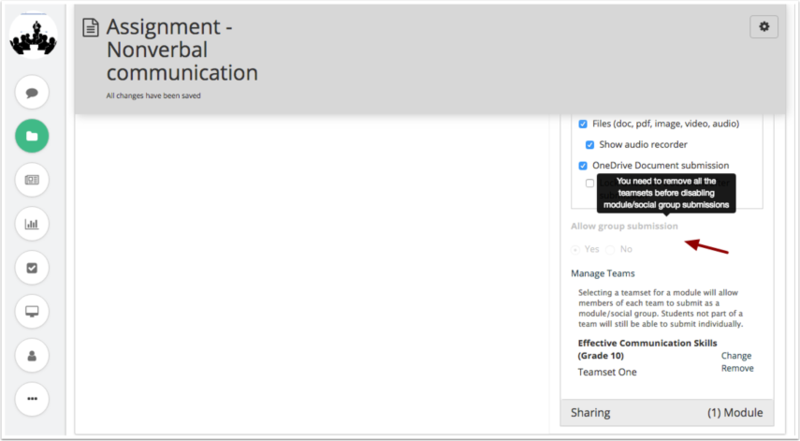 Select the teamset you wish to share the assignment with. Note: Before configuring a group assignment, you must first create Teamsets and teams for your learners and add learners in specific teams. Teamset is group of teams and team is group of learners. 2. Click the teamset with whose teams you wish to share the assignment. The number of teams present in the teamset will be shown alongside the teamset name. Click here to see how you can see more details of teamsets and teams present in a classroom. 3. 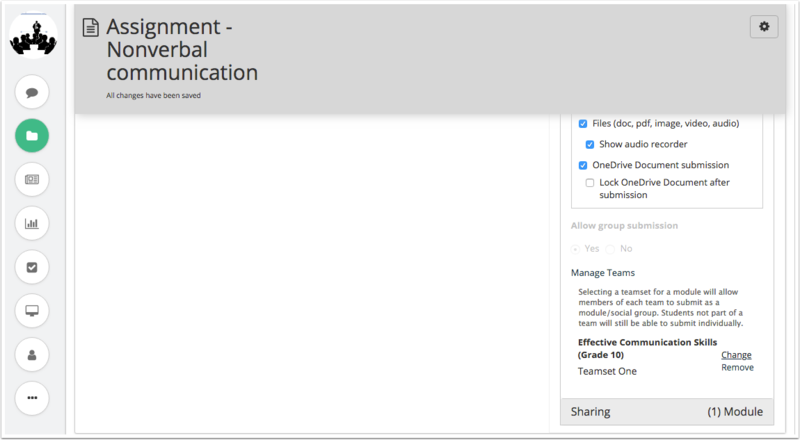 The teamset will be linked to the assignment and now all the teams in the linked teamset will be considered as groups for the assignment. 4. Click Change in case you wish to select any other teamset to link the assignment with. 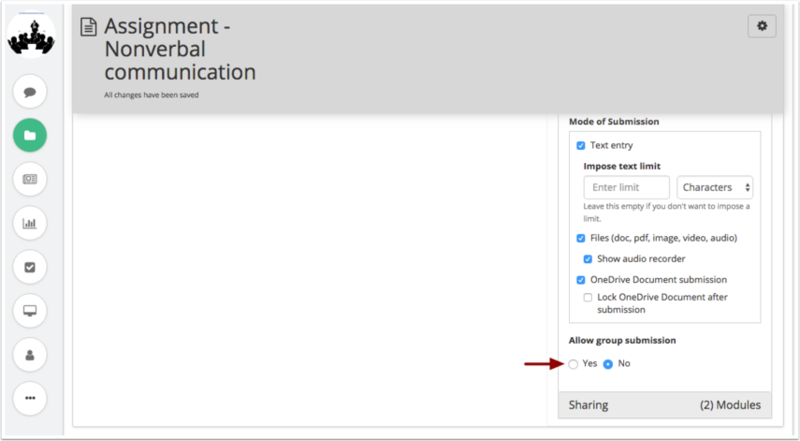 You cannot disable group submission option for an assignment if any teamset is linked to it. 5. 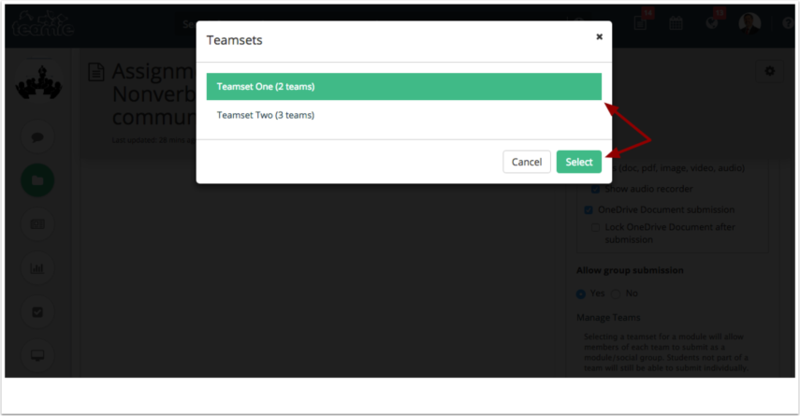 Click Manage Teams to manage the teamsets and their teams before sharing an assignment with a specific teamset. 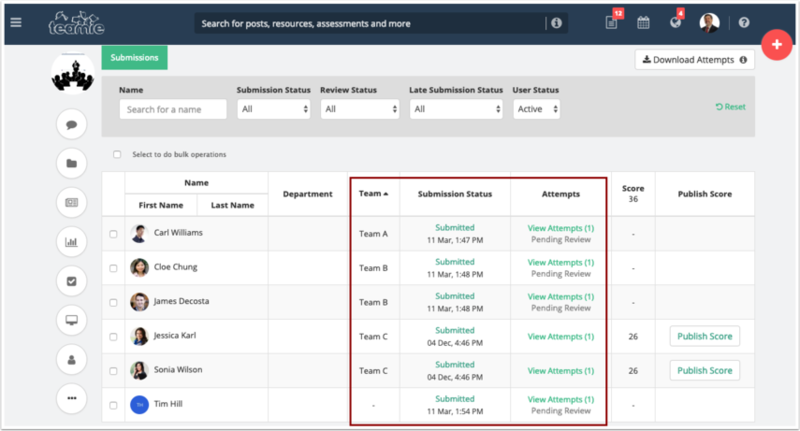 It is not possible to move around learners from one team to another within a teamset if at-least one member of the group has already made submission on behalf of the group. 6. 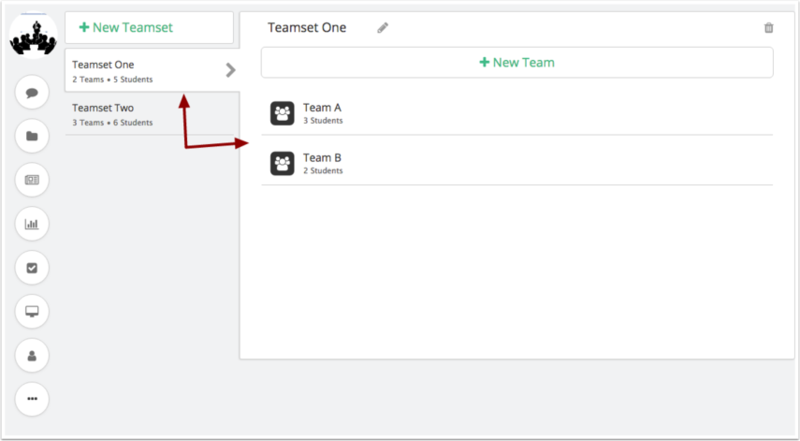 You will be taken to the Teams tab where you will be able to view all the teamsets and their teams, created for that classroom. To assign learners to any group in an assignment, all you need to do is assign the required learners to different teams in a teamset. 1. 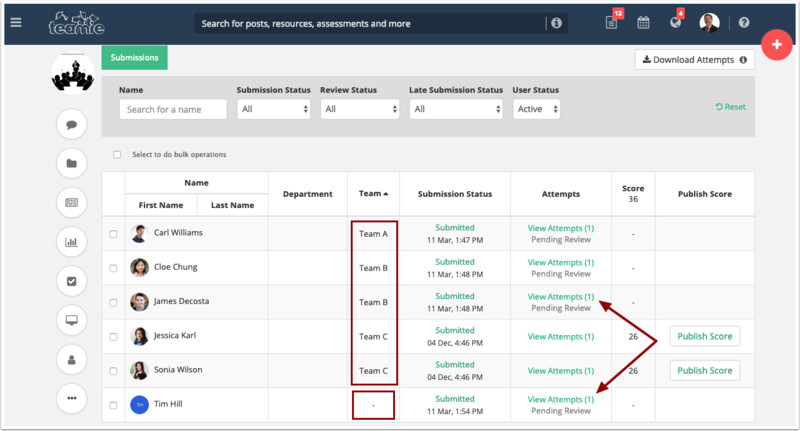 After you have created the required teamset, you can add team(s) to it and assign learner(s) which are associated with the classrooms to the required team(s). Note: Unassigned learners will be treated as Individual groups. Also, a single user cannot be assigned to multiple groups. Click here to know more details about how to create and manage teamsets and teams in a classroom. Allot the same score and grade to all learners in the group. Allot different score/grade to each learner within the group. Add feedback comments (Textual comments and audio files are supported). 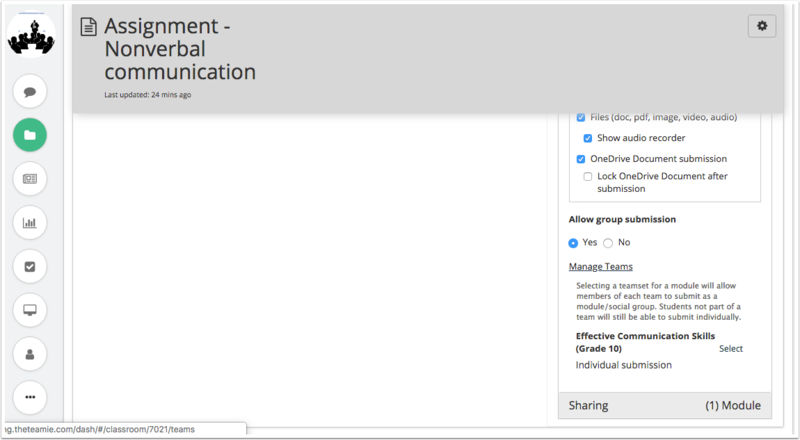 Currently, as an instructor, you won’t be able to post feedback to individual learner within a group. 1. Go to the classroom materials listing page. 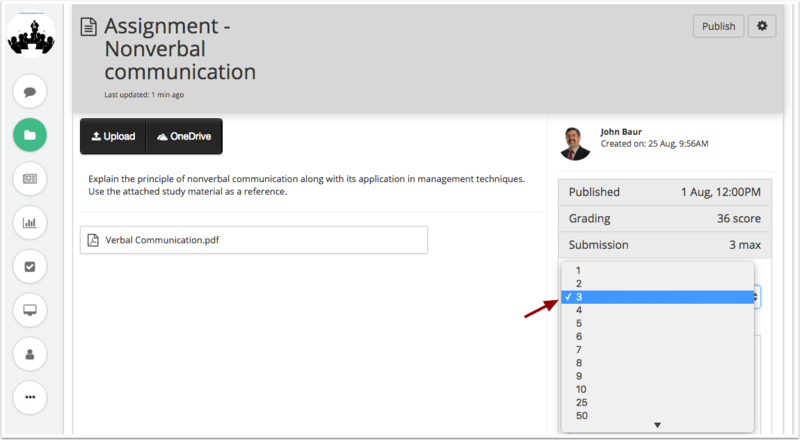 Find the assignment you wish to grade and click View Attempts button. 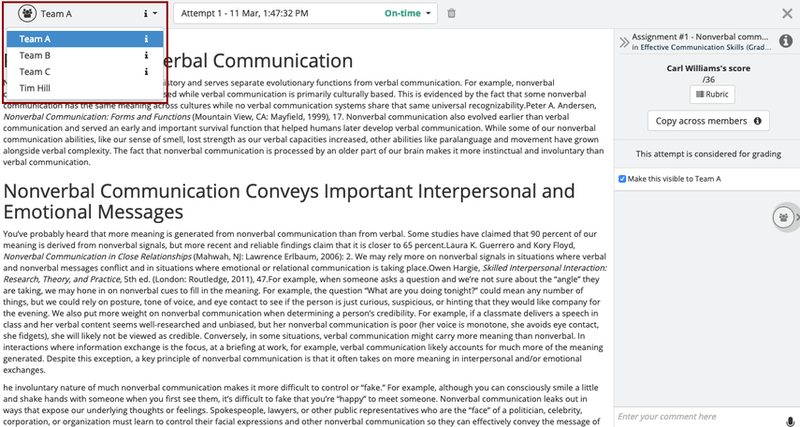 In the following screenshot you can see View attempts (3/6) for an assignment. There were two teams made for this assignment, Team A with 3 learners and Team B with 2 learners in it. One learner from Team A made a submission and the group submission for the other learner in Team A was automatically taken into consideration and hence written as "View attempts 3/6". 3. You can also see the View attempts stats on the assessment expanded view. Click View attempts of the required assignment. 4. On the Submissions listing page, you will see a table containing list of learners who have access to this assignment along with their attempts information and the teams (groups) they belong to. The submitted time and attempts made for a team will be same, i.e, if a single user from a group / team makes a submission, it will be considered for the whole team. 5. 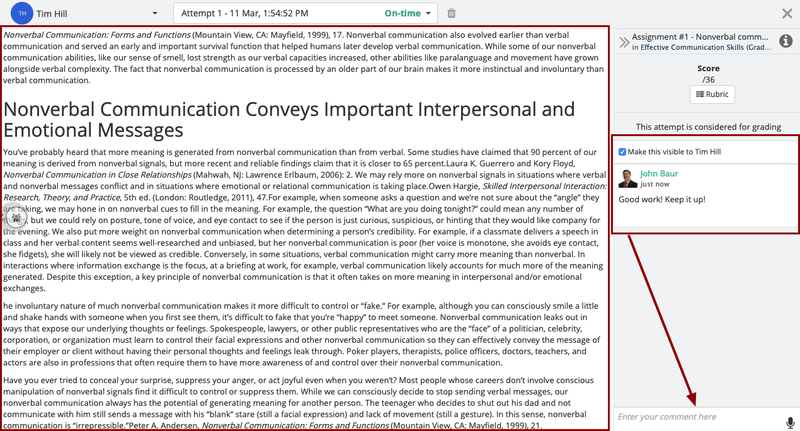 Click View Attempts under Attempts column corresponding to a learner. In case the learner is a part of a team, then you will be able to view the attempt for the whole team. In case the learner is an individual who is not part of any team, then his/her individual attempt will be shown. Hover over the 'i' icon of a team to view its members. 6. Read the submission content submitted by the learner/team. 7. Click any team icon/name in the dropdown group to view its submission. 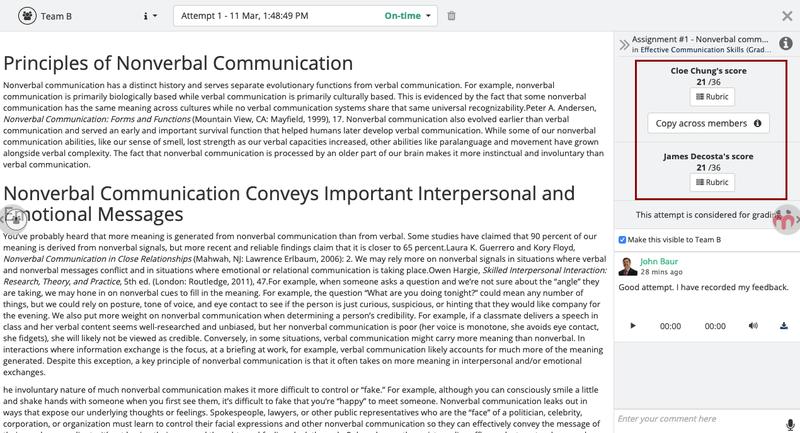 Click on any individual learner's name to view his/her submission. You can also use the left/right image icons to navigate between submissions. Alternatively, you can also click View Attempts under Attempts column to view submissions. 8. You can give textual as well audio feedback to a team/ individual learner and tick the "Make this visible to Team name/Learner name" checkbox to publish the feedback and notify the team/learner about it. 1. View file submissions made by group members. 2. On the Submissions listing page, click View Attempts link shown next to the learner's name to view the submission(s) made by that learner. On the submission page, you will be able to input the marks in the Score field for that member. 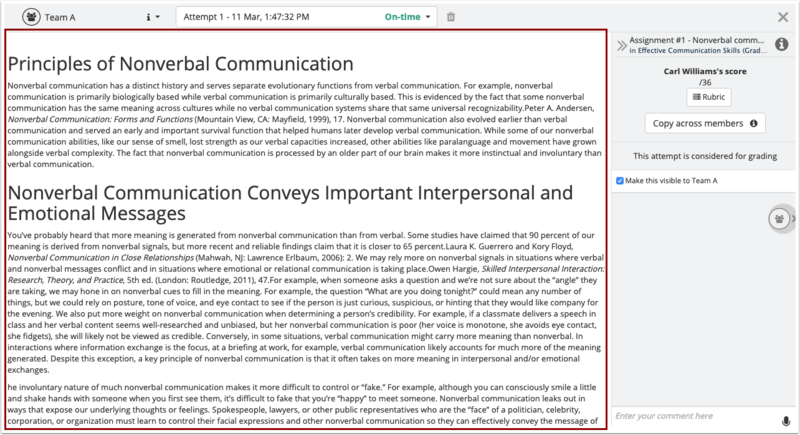 In case, a rubric is attached to the assignment, you can grade with the help of rubric and depending on the type of the rubric (scoring / non scoring), the system will calculate the score and all changes will be auto-saved. For non scoring rubric, scores needs to be entered in the Score field in addition to the rubric grading. 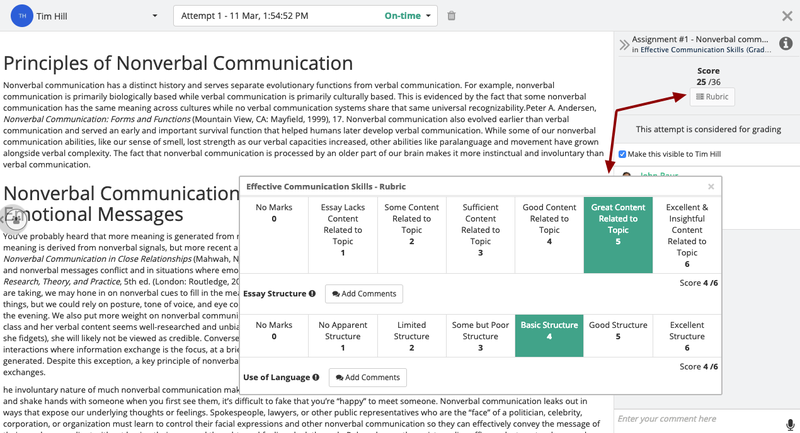 For scoring rubric, marks will be given based on the selected scales from each criteria. 3. 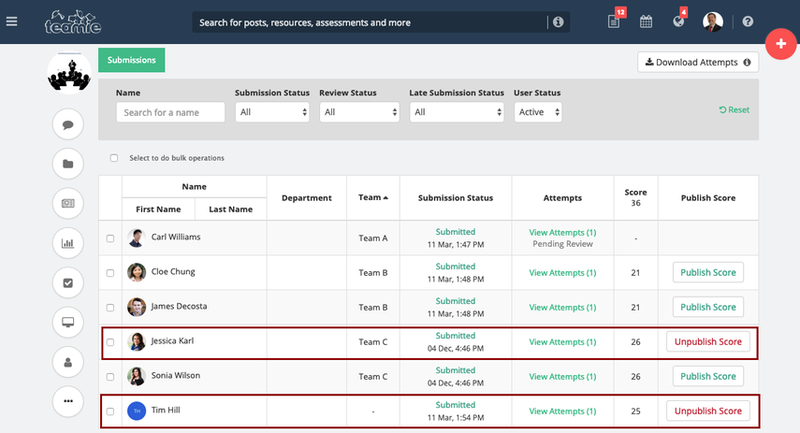 On the Submissions listing page, click View Attempts link shown next to the team's name to view the submission(s) made by that team. 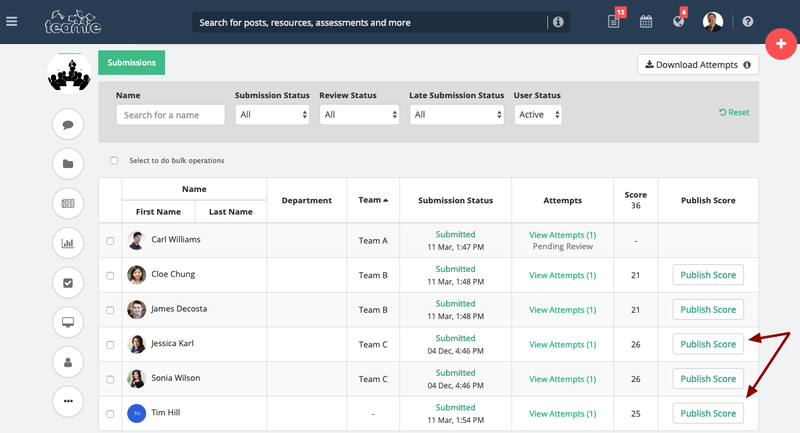 On the submission page, you will be able to input the score in the Score field for that team. The score will be auto-saved. In case a rubric is attached to the assignment, you can grade with the help of rubric and depending on the type of the rubric (scoring / non-scoring), the system will calculate the score and all changes will be auto-saved. For non-scoring rubric, score needs to be entered in the Score field in addition to the rubric grading. 4. Additionally, an option is provided to allow these to be copied over to all members of a team. So, while you are grading an assignment attempt for a team member, you can simply choose to copy the same score, grade, and rubric assessment from the first member to all other team members. 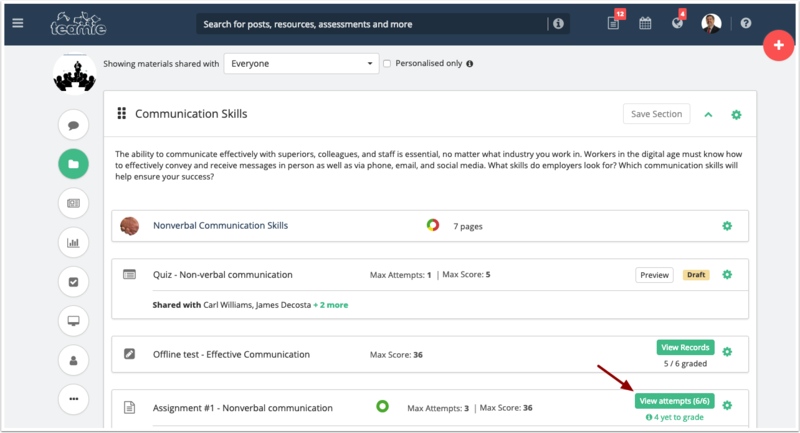 To apply the same grade/score to all learners, click Copy across members under the sore section of the first team member. 5. A confirmation message appears stating that the scores of all the other member of the teams will be overwritten with the score of the first team member. Click Yes to proceed. 6. Upon confirmation, the system will allot same score, grade (and rubric scales, if the assignment is graded using rubric) of the first team member to all other team members. 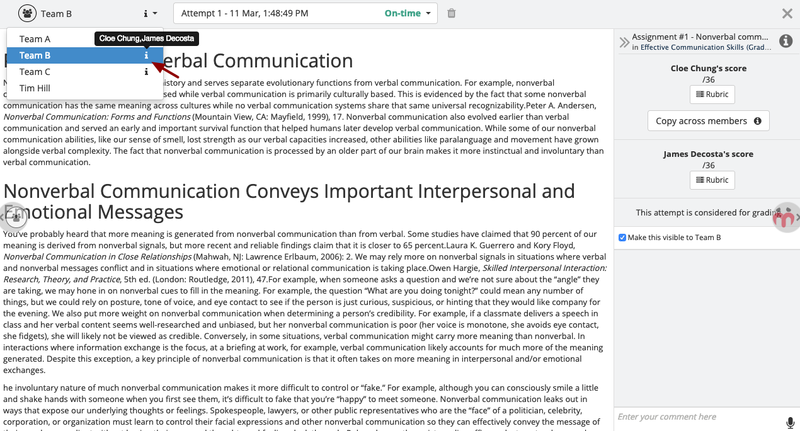 You can go back to the assignment grading page and edit any individual learner grade, any time. Note: if you have changed the score of any other team member separately and wanted to allot the same score for all team members then please click the Copy across members button, then the system will allot the same score as first learner to all team members. 7. 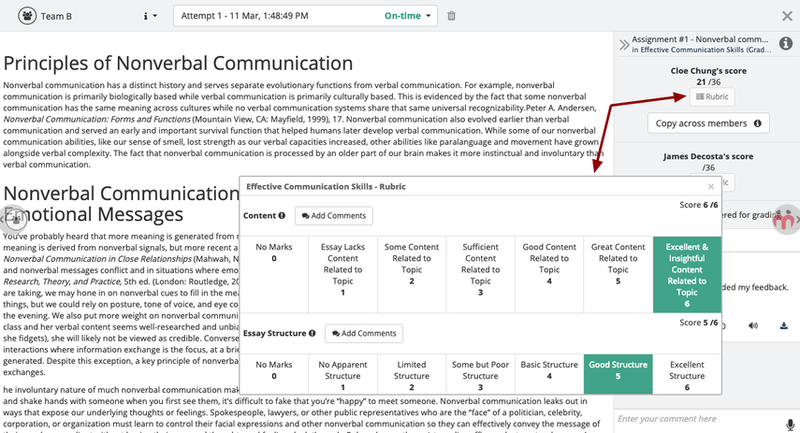 On the submissions page, click Publish Score for the required learner(s) to publish their respective score(s) and make it available to them. Scores will be made available to only those learners for whom you click Publish Score irrespective of which team they are in, i.e., if you publish score of a learner of Team A, only that learner will be able to see his/her score and not all members of Team A. 8. Learners will be notified once their scores are published. 1. Can any learner remove himself from a team? No, only an instructor can remove any learner from a team. 2. What happens when you remove a learner from a team? When you remove a learner from a team, he/she will be considered as an individual group and will be required to make individual submissions. Note: A learners can not be removed from a team if any one member of the group has already made submission to the assignment / quiz. Similarly, if a new learner is being added to a team after any one member of the group has already made submission to the assignment / quiz, then the newly added student will not get access to the submission. 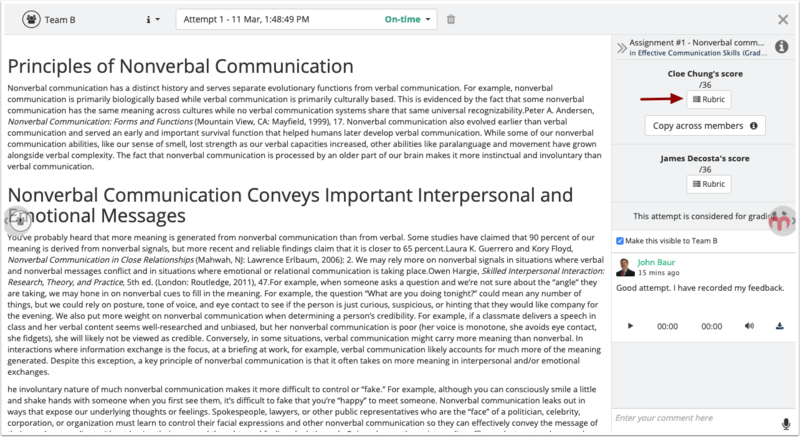 In order to overcome this problem, instructors are advised to create the teamsets and team with the required set of learners first and then publish the assignment for accepting submission from each group. 3. Can learners see scores of their team members? No, learners can not see scores of their group members. 4. 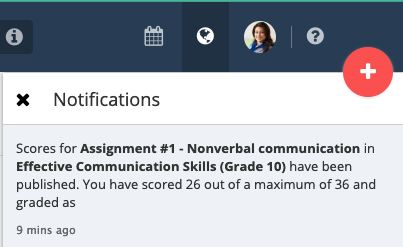 Do i have to allot equal marks to all the learners in a team? 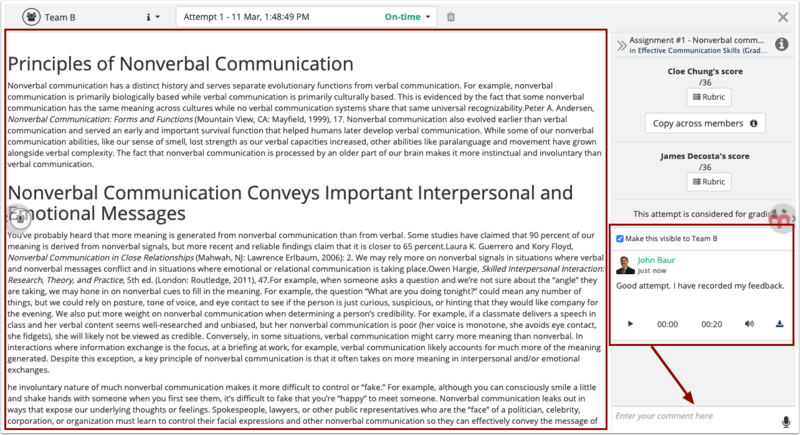 For auto-evaluated questions in a quiz, all the learners in a group will get equal marks, but for open-ended questions (like online quiz, which may have open-ended questions and assignment are always created with an open-ended question) you can allot different marks for each learner in a group. 5. 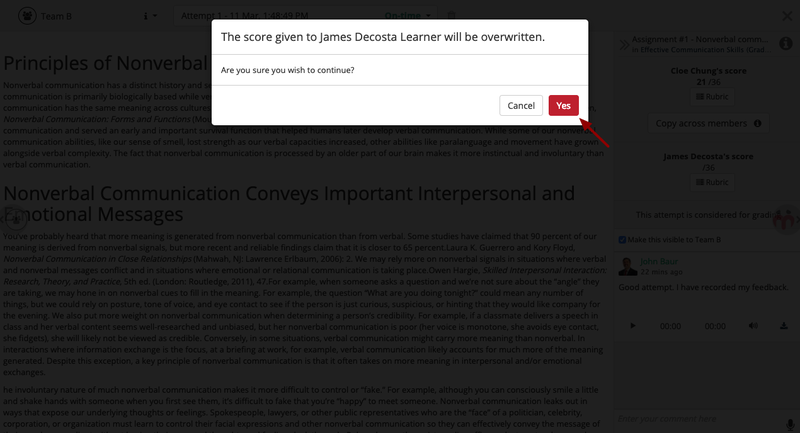 Can learners resubmit a group assessment? If you have created an assessment with maximum number of attempts as one, and one member of a group makes the submission, then other members of that group would not be able to make any submissions because the maximum number of attempts are already reached. They can contact you to ask for increment in maximum number of attempts so that they can resubmit the assessment. 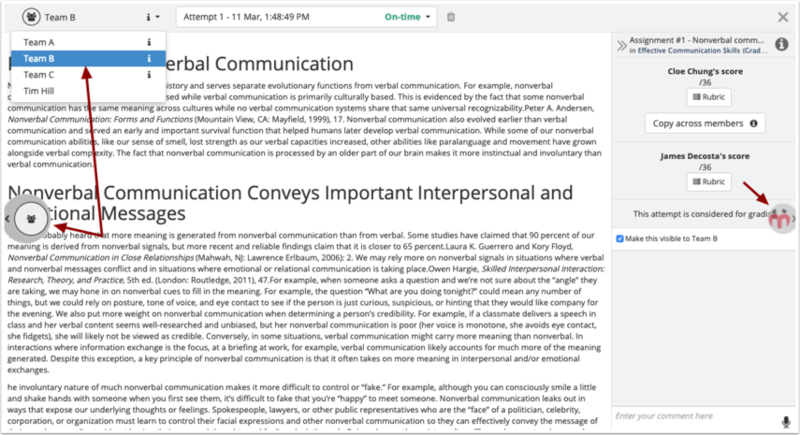 Alternatively, if you have allowed multiple submissions, then learners will be able to resubmit a group assessment until the maximum number of attempts are reached.